Purify is a great place to start as this blend is so light and airy and really enjoyable to drink. The main ingredients are Aloe, Nettle and Cucumber which makes it fantastic for clearing out your system, as Nettle is one of the best ingredients for herbal tea as it contains so many vital vitamins/minerals, as well as rejuvenating your system. It's also great for problem skin, as nettle detoxifies your kidneys.. which then means that your skin appears clearer. Cucumber and Aloe also both have fantastic properties, but I find they help to make this herbal tea so nice to drink. It somehow makes you feel relaxed, but rejuvenated at the same time! Pukka is another really lovely herbal tea brand and offers loads of variety, which is one of the reasons why I wanted to give Pukka a try. 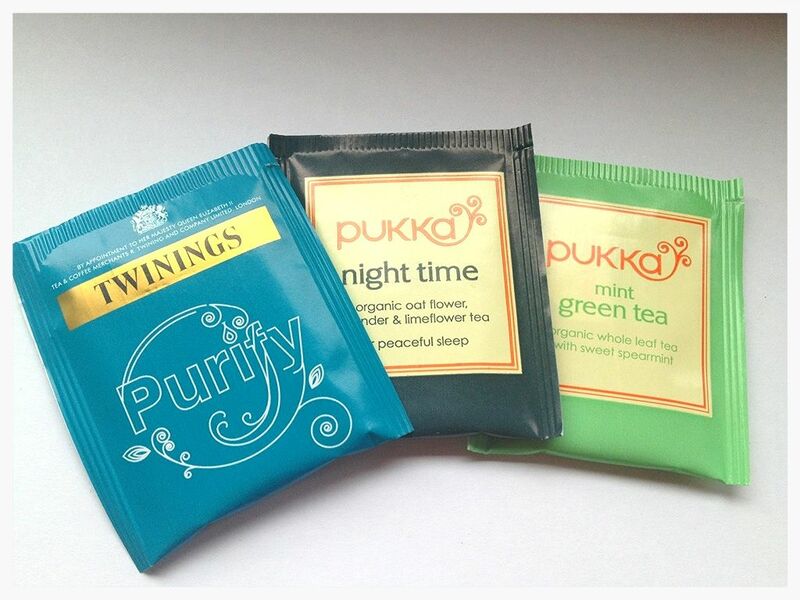 Pukka Night Time features Oat Flower, Lavender and Lime Flower. Oat Flower and Lavender is known for being calming and nourishing, and Lime Flower helps to settle the mind. I have been loving this tea before bed and I would defiantly say that this helps to relax me just before bed. I also like that its not just the traditional Lavender and Chamomile, as it makes this tea different from all the other ones that you can buy. I'm sure most of you have heard the endless benefits of Green Tea, but its also in my opinion one of the less nicer tasting ones. Green Tea is fantastic for weight loss, improving you immune system and much more. I find that the infusion of mint from the Pukka Mint Green Tea really helps to make this easier to drink, but at the same time you are getting Green Tea Benefits and an uplift from the mint. 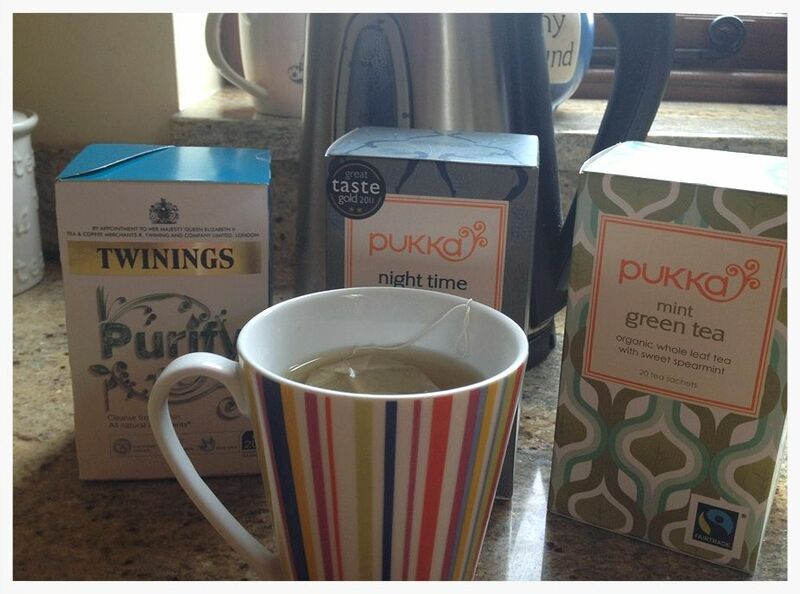 If you are a bit scared of Green Tea or just don't like the taste, then the Pukka Mint Green Tea would be a great option. Herbal Teas are a much better option than normal tea! as they have so many benefit and also perfect to combine with your fitness routine. However, they aren't to everybody's taste haha! but I would definitely recommend just stopping by when your at the supermarket, and seeing if any take your fancy. Twinings and Pukka tend to range anywhere from the £2-£3 mark, but there are occasionally offers at the supermarket. What an original post :-) I love tea, especially green tea. Once I'm not pregnant I will need to try these!